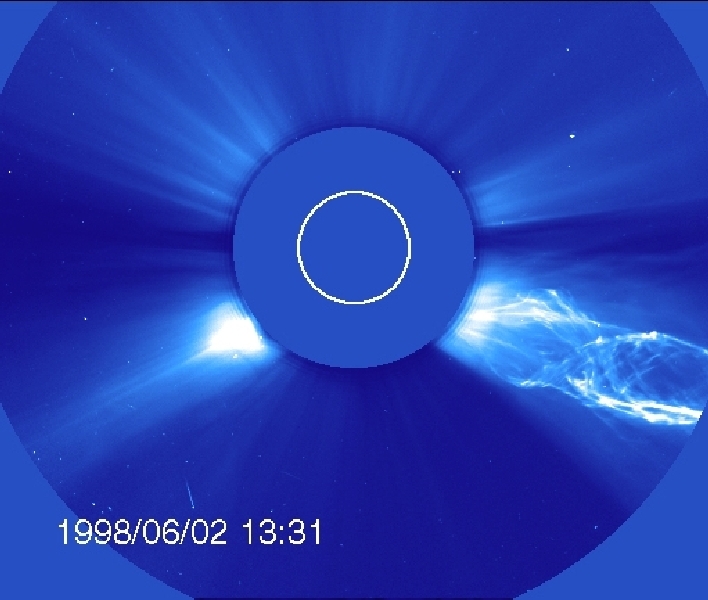 LASCO C2 coronograph image in which a twisting, helical-shaped CME spins off from the Sun. This particular CME and erupting prominence is somewhat unusual in that the width of the blast is relatively narrow and the strands of plasma are twisting. The dark disk blocks the Sun so that the LASCO instrument can observe the structures of the corona in visible light. The white circle represents the size and position of the Sun.